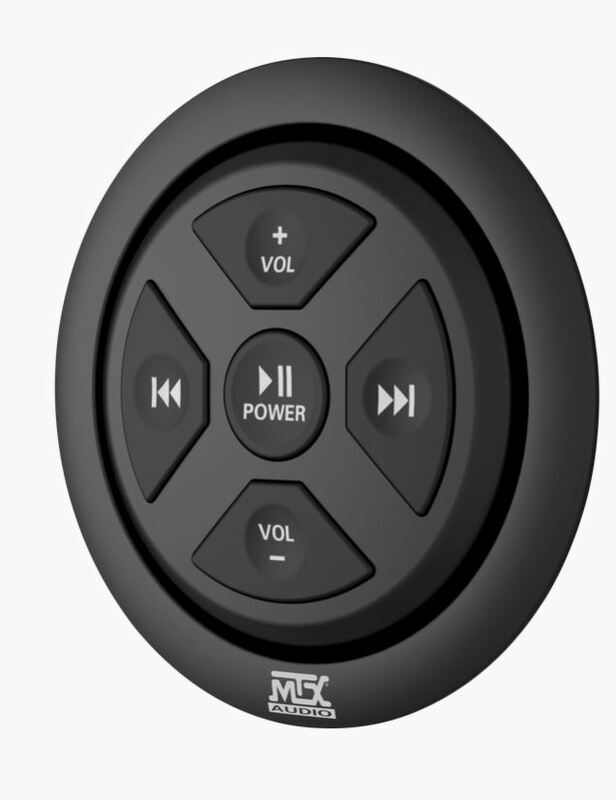 Do you have a media player or perhaps a phone that has a library of your favorite tracks? 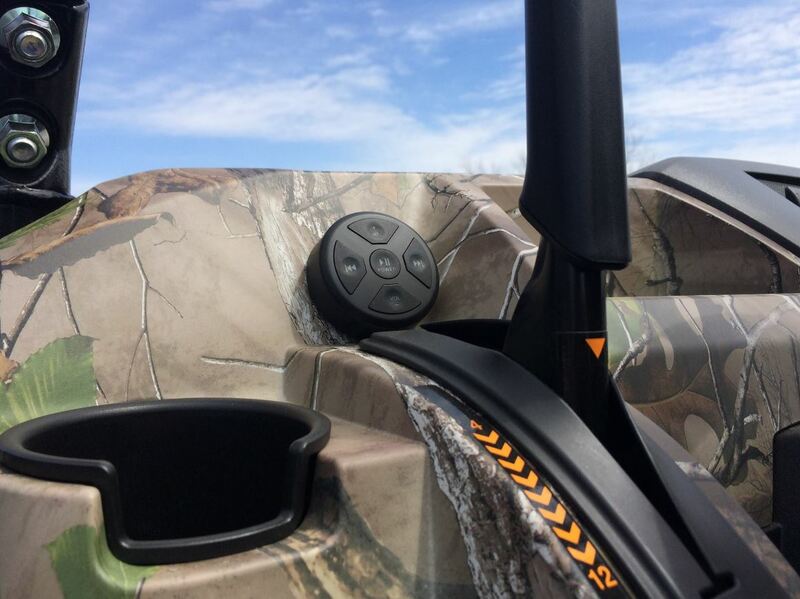 At SideBySideStuff.com, we know that you probably do and that you'd love to listen to them when you're out riding in your Polaris RZR, Can Am Commander / Maverick, Honda Pioneer, Kawasaki Teryx or other UTV. 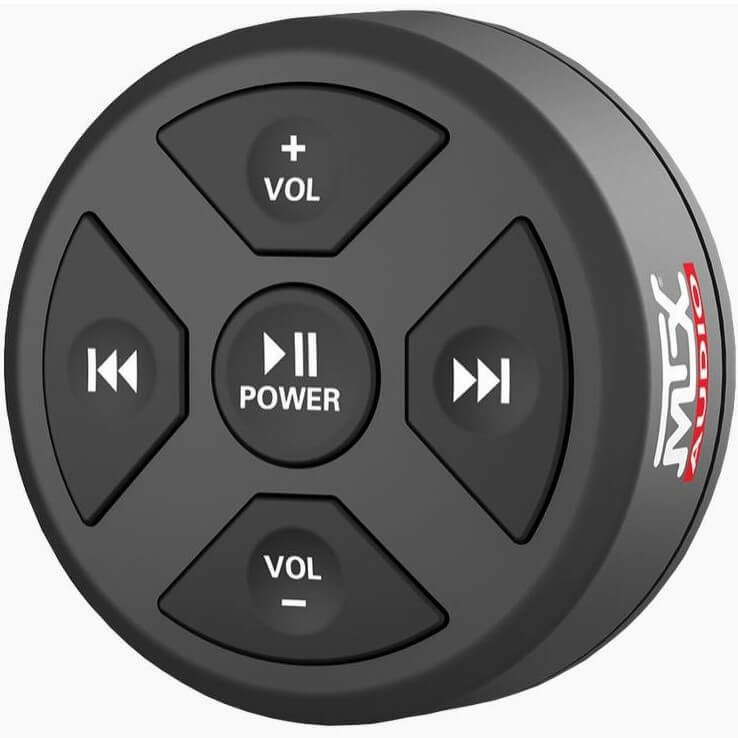 Well, with the MTX Audio Bluetooth Controller, you can now listen to all those tunes. 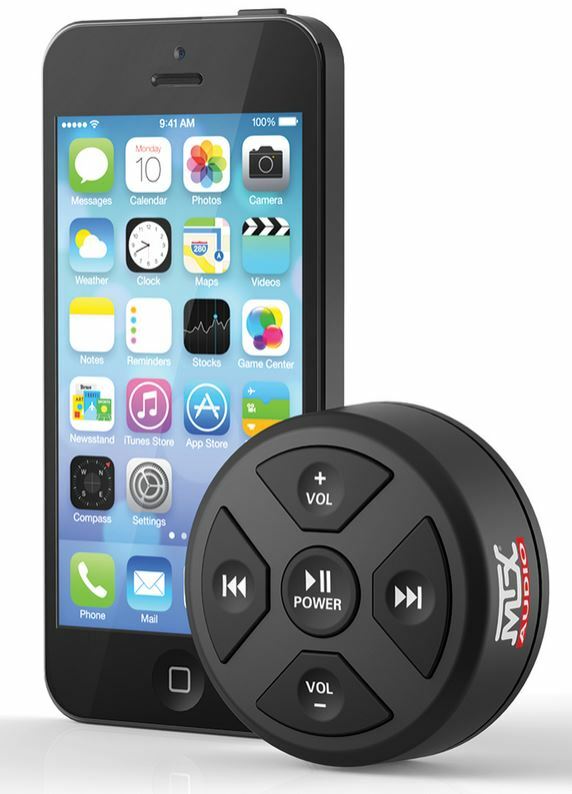 This Bluetooth controller works with nearly all Bluetooth enabled devices and replaces a head unit. 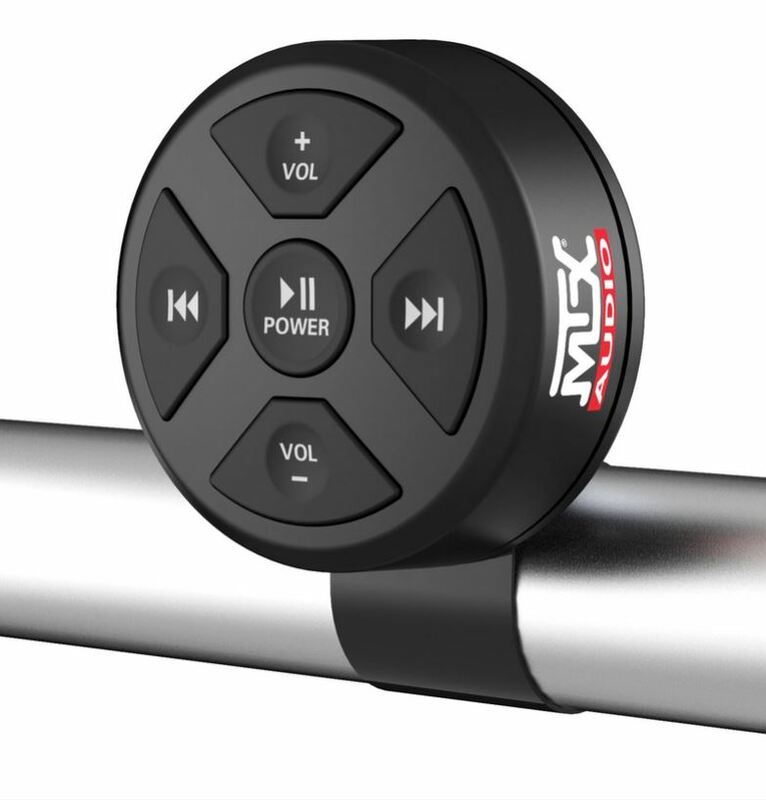 The controller is universal since it can be mounted in three ways - surface mounted, flush mounted or clamped onto a bar. With a waterproof design, this controller will withstand nearly anything you can throw at it. Check out all the features below and get yours ordered today!